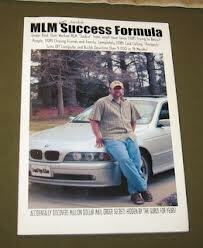 I just finished reading The MLM Junkie Success Formula by Gerald Peters. I absolutely love this book. It’s a quick read (less than 90-minutes) and it is absolutely jam-packed with “life changing” ideas that can transform your network marketing business. The book is sold as part of his DBN Marketing System. It sells for $27. You can’t buy the book online. Instead, it comes as the lead product in his direct mail marketing system. The book educates you about what it takes to really succeed in network marketing and it also promotes his offline marketing system. It is a combination sales letter and educational material in one. At just 67-pages, it isn’t the longest book ever written, but it definitely has its merits. As you can see, the book does cover some inspirational materials, but it is mostly substance. He talks about why most network marketers struggle to promote their business online, and why there are much better options. He goes on to explain his system for generating leads and multiple streams of income by sending out postcards and fliers, by advertising in print media, and using low-cost ways to promote his direct mail system. As an online network marketer myself, many of these ideas got me thinking. As I’ve built my online MLM Business, I’ve come to discover that the internet is loaded with competition and it’s hard to rise above the crowd. I’ve often overlooked the direct mail approach, but will definitely consider it now. UPDATE: More than 2-years after reading this book and writing this post, I now use lots of direct mail with my MLM Business, in conjunction with my online efforts. I have found it very helpful and effective. What I’d like to do in this section is share some of my favorite quotes from the MLM Junkie Success Formula by Gerald Peters. These quotes really resonated with me. They are listed by where I found them in the book. Each quote is in bold and italics. I also provide my thoughts on each quote, immediately after it. 1. To attract the right kind of people you have to first become the “right kind of person.” You attract what you are, not what you want. People will only join your team if they think you can help them succeed. The more value you have to offer, the more people you will recruit. People don’t join companies they join people! 2. It’s not what you sell, it’s how and where you sell it! No product sells itself, regardless of how good it is. Marketing is the most important activity in any business. To succeed in any business you need to learn marketing and sales so you can make the cash register ring. 3. Don’t wait until you need a second income to start building it. Having just one income stream is a recipe for disaster, regardless of what it is. Start building a second income now, so you have options if/when you lose your primary income source. Smart entrepreneurs have three to five solid income streams. 4. Ten years ago and ten years from now MLM’ers need leads and quality training. These never, ever, ever go out of style. If you learn to sell these tools, then everyone is your prospect. Leads are the lifeblood of any business. Selling leads and training tools is very profitable and lucrative. This is sometimes called the picks and shovels business. Many top earners make more from selling these things than they do with their MLM Team. 5. Few people are able to market online effectively and it’s extremely hard to teach new people how to market online. Internet network marketing is hard to do and hard to teach others how to do. Even if you master it yourself, it’s hard to help someone else master it. That’s why so many industry leaders focus on offline, old-school methods: because it’s easy to teach and it still works. 6. Hiding behind your computer screen isn’t going to make you rich. Network marketing is about generating leads, building relationships with those leads, and working the numbers. You need to look people in the eyeballs, talk with them on the phone and build relationships. You can use the internet to meet people, but you want to take the relationship offline as quickly as possible. 7. People place their hope in the program and not in themselves. You are the solution to your challenges, not the company you just joined. Until you develop the right skill-set and right mind-set you will struggle with every company you join. 8. Properly organized time and effort can reward you with years of residual income. If you build your network marketing business right the first time, it can pay you for many years to come. That is the power of residual income compared to linear income. 9. Your success starts in your own mind. You have to believe in yourself and believe that you will be successful. You have to believe in your company, its products and the industry. Most people are their own biggest critic and own worst enemy. 10. The “average joe” thinks nothing of buying a $1,000 flat screen TV that is worth $500 once it is plugged in, but a $597 master recruiter course is way to expensive even though it’s value will continue to exceed the life of a silly TV. Look where people spend their time and money and you can see what their priorities are. To succeed in this industry, you’re going to need to invest in your own business education. You can’t lose money when you invest in yourself. 11. People will often use other people’s success as an excuse for their own failure. Your success or failure is up to you and no one else. Until you accept responsibility for your success, you will never be successful in life. If you aren’t where you want to be in life, look yourself in the mirror. I’ve never met a successful victim. 12. Few people become wealthy who work for an hourly wage. Most successful and financially well to do people own a business and have other people working for them. To succeed financially, you either need to leverage people or leverage money. Network marketing allows anyone to have leverage, even if you don’t have money or employees. 13. If you’re trading time for money, you will always be forced to work and any time not spent working is a serious financial problem. Trading hours for dollars will make you go broke if/when you ever lose your ability to work or no longer want to work. 14. One problem with the low-cost of MLM and mail order is that it is easy to quit. People don’t treat a business very seriously if they don’t have much capital invested in it. Most people who invest six figures in a traditional business will do everything in their willpower to make it work. In MLM, most people give up at the first sign of struggle because they have very little money invested. 15. Commit to something worthwhile and stick it out even when it gets tough. Good things take time, patience and hard work. You need vision and mental toughness. Stay committed and finish what you started. Nothing will ever go exactly as planned or as quickly as planned. 16. People have money for the things they want. People always find money for things they WANT to spend it on. When people tell you they can’t afford the products or business, it’s because it’s not a priority for them. 17. Weekly cash flow is the number one reason for distributor drop out. Without a constant flow of cash coming in the business, most new businesses will be out of business in no time. Learn how to manage your cash flow in your network marketing business. 18. The number one surefire way to fail is to commit to anything less than 8-12 months. Good things take time. You have to give yourself a fair chance to succeed. If you aren’t willing to invest a couple of years to get something going, you will never make it in any business. Most businesses take at least two to five years to get established and at least one year to get profitable. You need realistic expectations. 19. As long as you’re concerned what the crowd thinks of you, you will be part of the crowd. Ignore what others are saying or thinking about you. Whenever you step above the crowd you will always have critics. If no one is criticizing you, you aren’t doing much with your life. 20. If you offer something of value for free then people will trip over themselves to buy everything you’ve got. Give away something for free and use that free item to sell what you have to offer. I like to call this the two-step selling process. 21. When you build a marketing system you control the money flow. Own the system. That puts you in charge of things and gives you good cash-flow at the same time. I hope you enjoyed these quotes by Gerald Peters as much as I did. After many years of using Gerald Peters’ training with much success, I have finally decided to join DBN. This is a great, turnkey mail order program. It can be done as a standalone business or you can use it as an additional income stream. It will NOT interfere with your primary MLM Company. If you’d like to learn more about it, and receive your FREE INFO PACK IN THE MAIL, you can call his 24/7 information hotline below. Listen to the message and then leave your name and mailing address. It will also ask you for your referrer’s ID number, which is 80293. Be sure to leave that ID number with your contact information. You should receive your info pack in less than one week. You are under no obligation to buy anything. Just request your info pack and take it from there. In summary, if you haven’t checked out The MLM Junkie Success Formula by Gerald Peters, you should. 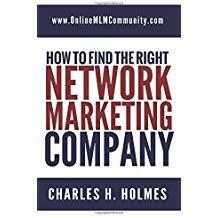 This is a great marketing book designed to educate you about building your network marketing business through direct mail, and having multiple streams of income. It’s well written, simple and to the point. I believe that if you take the information he offers and apply it in your network marketing business, you can achieve great results. Gerald Peters is the real deal, having built a team with more than 13,000 distributors and earning a six figure income in this industry for more than ten years in a row. He’s one of the only successful distributors I’ve found who openly shares his success secrets with others AND builds his team 100% via direct mail. If you haven’t checked him out yet you should. Disclaimer: Individual results will vary. How can I order this book – Im from UK – does exist any other way how to order it? I’m not sure if he ships overseas or not. I would check Amazon or eBay from time to time. According to this article, “The MLM Junkie Success Formula” by Gerald Peters is a convenient read. Not only can you read it in 90 minutes, but it has substance and the power to inspire people who are thinking about getting into the industry or novices who are discouraged. I am glad he chose to share the secrets of his success with others. It’s a great book and definitely worth reading. $27 is a bit steep as far as books go, but your review is making me seriously consider purchasing it. Like you, I also enjoy books that are quick, concise, and to-the-point. 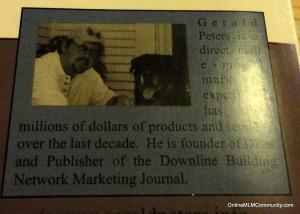 @Kaity–I don’t think Chuck is saying the book itself costs $27, because he stated that “It is sold as part of [Gerald Peters’] DBN Marketing System”, and “You can’t buy the book online.” That said, I couldn’t find the system for sale online, either. I didn’t spend much time googling it, though. The book is sold through the mail, not online.